MRS. CLEAN LIVES HERE! Seasonally occupied - same owner for 25+ years never rented & lovingly maintained not a thing out of place & cleaned continuouslyâ¦nothing for you to do but move in & enjoy. Not fond of climbing steps? Perfect-this ground floor unitâs for you. Donât want noise from neighbors above or next to you. Problem solved in this single story END UNIT villa. Unloading the groceries is a breeze with parking just outside your door. This well maintained home boasts fresh paint ceiling fans in every room & 4 season windows in the lanai were youâll enjoy soothing views of expansive green space. Fishing or kayaks your pleasure-you've found the right place. Enjoy walking? Thereâs a walking path surrounding the lake front community. Golfers? Youâre across the street from Kingsway Golf Club one of many nearby courses. The complex features a heated pool clubhouse shuffle board bocce & a fishing pier. Heron Pointe owners also enjoy affordable maintenance fees that include your water & sewer. In addition...the entire complex has replacement thermal impact windows new exterior paint & new roofs. The community of Lake Suzy is comprised of affordable condos & villas alongside custom golf course & lakefront homes. Owning in Heron Pt affords you the same lifestyle in the same community at a fraction of the cost of neighboring homes. 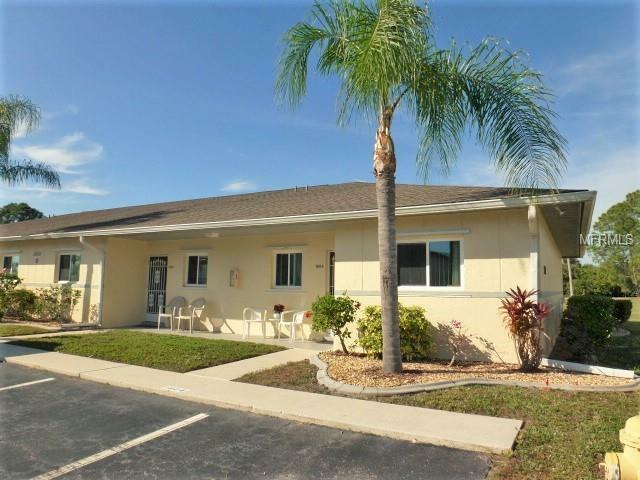 Minutes from Punta Gorda situated midway between Sarasota & Naples convenient to I-75 restaurants & shopping, Lake Suzy offers all you need in a quiet setting away from the crowds.